German-Turkish politician Cem Ozdemir who recently wrapped up his chairmanship in Germany’s Greens Party announced the formation of Secular Islam Initiative along with friends whom are known for their harsh stance against the most Important tenets of Islamic belief. German media reported on Wednesday that Secular Islam Initiative has been formed to “become the voice of modern Islam.” However, the names of the founders recall more of an anti-Islam stance than anything that is Islamic for the 3-million strong Muslim Turkish community of Germany. One of the co-founders, Seyran Ates, is known for her involvement in opening a mosque in Berlin where men and women prayed shoulder to shoulder. The mosque and the practice is considered heresy by all the respected Islamic institutions in Germany. 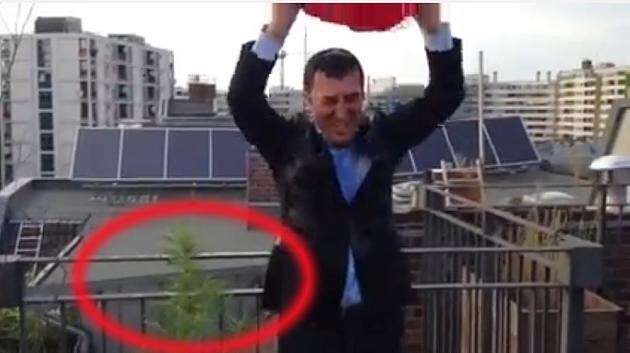 Both Ozdemir and Ates along with other persons involved in the project have been known for their anti-Islam stance so most German Turks could not help themselves but to mock the project. Another Turk said on twitter that after losing his chairmanship of Green Party, Cem Ozdemir may be up for the post of Turkish religious body, DITIB whose head’s term has expired but a one yet to be appointed due to hurdles set by German governmemt. Another Turk in the city of Duisburg said on Facebook that after Cem Ozdemir became the co-chair of the Greens, the party’s support went down dramatically. And after Cem was removed from the post, Greens are now the second biggest party in some German states according yo surveys. “So Ozdemir joining this anti-Islamic block would just destroy them!” the Turkish Facebook user mocked. Another cab driver in Cologne says “Cem Ozdemir founding an Islamic initiative is like me opening an NGO on space rockets.” The cab driver says Ozdemir and other partners of Secular Islam Initiative has no respect whatsoever from the Muslim Turkish community in Germany and thinks it is part of the German state’s recent attempt to create a German version of Islam.